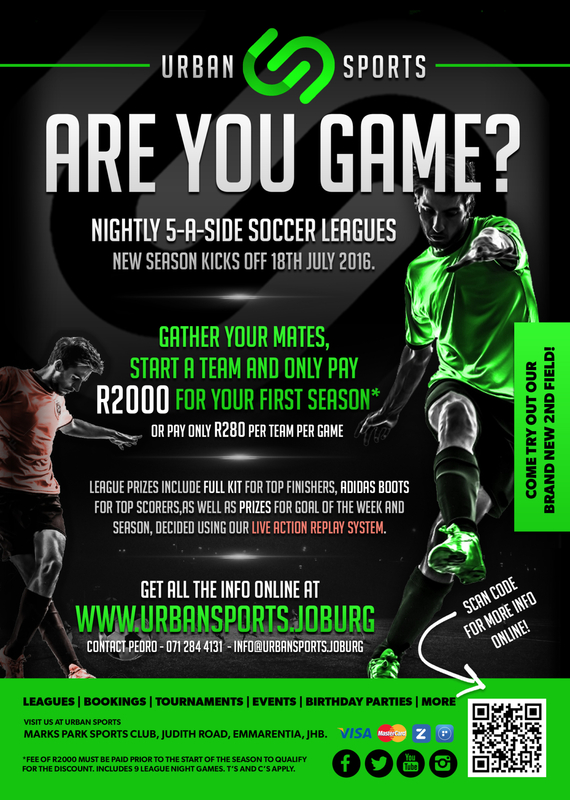 Our new 5-a-side soccer leagues are kicking off on the 18th of July 2016. Leagues will run on Monday, Tuesday, Thursday and Friday nights between 6.30pm and 10.15pm. Games will be played on our brand new FIFA grade 2 pitch which has recently been completed. We have slots available across all nights, so let us know if your team is interested in signing up for our winter season. 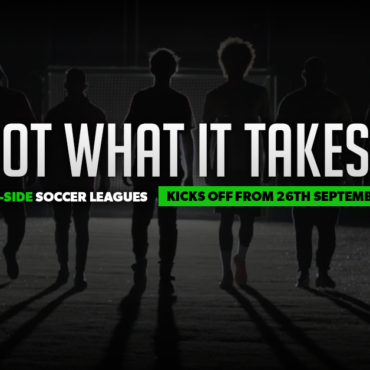 To celebrate the start of our new leagues, we are offering teams a sign-up special of R2000 per team for the season. This includes 9 league night games. To qualify for this great discount, teams will need to make sure the full amount is paid prior to the start of their first season game. 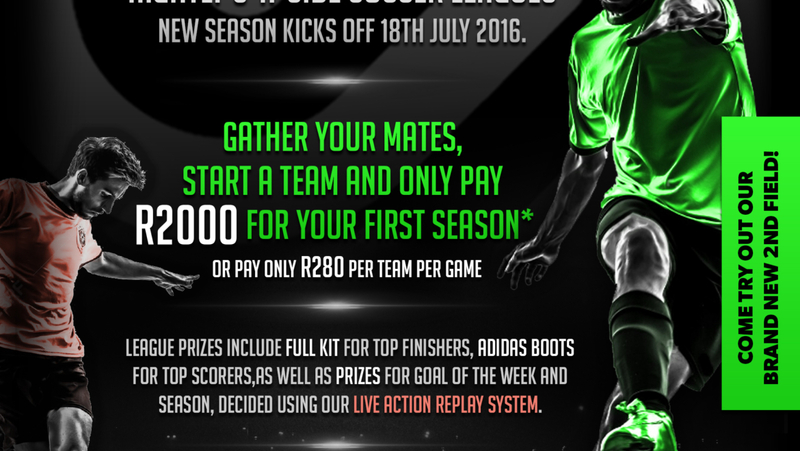 Alternatively teams may pay per game, and the amount remains R280 per game, which is still the cheapest around. Please note, teams will be required to settle any outsanding amounts as well as any fees due for the nights game prior to the kick off of their league nights game. Teams can now make payment at Marks Park by card, we support both credit and debit cards. Payment can also be made by SnapScan and Zapper, as well as by EFT.For more information of our payment options, click here. Top Goal Scorer: A pair of Adidas 5-a-side turf boots. Each week, the goal scorer of the best goal of the week that is recorded on our action replay system during our league nights, and judged by our officials will receive either a mini soccer ball or a voucher redeemable at the Marks Park Bar and Restaurant. At the end of the season, the best goal across all the goals of the week will receive a pair of Adidas 5-a-side turf boots. 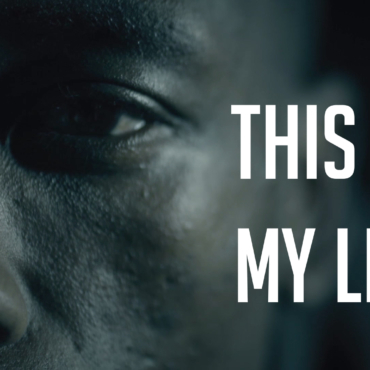 To find out more about our leagues, click here. 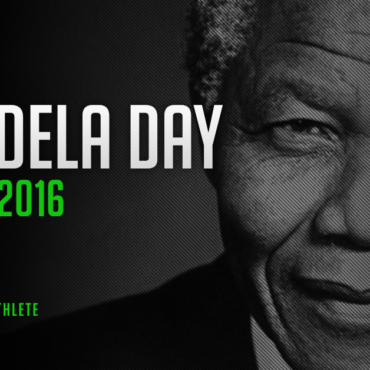 To signup your team, click here. We’re looking forward to having you and your team join us for what will be an awesome season to come.